While the overall figure might have been a couple of busloads behind last year’s record breaking attendance, the organisers of the Royal Highland show – which finished its four-day run yesterday in sweltering temperatures – said the high levels of attendance reflected the growing appeal of Scotland’s biggest celebration of farming, food and rural life. 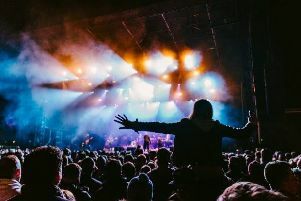 The final entry figures from the show’s four-day run stood at 189,851, only a fraction behind last year’s figure of 190,128 – with Saturday proving to be the most popular day when almost 56,000 flooded into the showground. But the Royal Highland & Agricultural Society of Scotland (RHASS) said that the event – which delivers £65 million of economic benefit to the UK – wasn’t only providing a shop window for the farming industry but had also displayed its green credentials. RHASS chief executive Alan Laidlaw said that there had been an estimated 160,000 journeys made by public transport over the four days, double the previous year’s number. He said a carefully co-ordinated approach had helped ensure that onward journeys from all the nearest train stations ran smoothly. These journeys had also helped ease pressure for those who did come by car, reducing the volume of traffic on the roads and hence the likelihood of congestion, despite the higher attendance. Recent investment in showground infrastructure had also helped the 178th show announce that it was “flushed with success” on the water front, claiming that 1.75 million litres of fresh water had been replaced by the recycled equivalent in the showground toilet systems, while 160 tonnes of the waste normally produced at such events was environmentally processed. Society chairman Jimmy Warnock also stressed the attraction which the show had held for political big-hitters, keen to take the opportunity to raise their profile in the farming world. Among this year’s visitors, said Mr Warnock, were key leaders from across the political spectrum, including Michael Gove, Secretary of State for Environment, Food and Rural Affairs, Scottish Secretary David Mundell, Fergus Ewing, Scottish Government Cabinet Secretary for Rural Economy and Connectivity and Ruth Davidson, leader of the Conservative party in Scotland. “This is a once-in-a-year opportunity to get face-to-face with the countryside and we hope we will leave a legacy for families to go out and discover what rural Scotland has to offer beyond the four days of the Show,” said Warnock.